collage journeys: Suggestions for New Workshops? What are your biggest challenges in your art practice? When looking for a workshop to take, what are your highest priorities? What are the main things you want to get out of a workshop? I am always thinking about possibilities for new workshop topics or formats, and your input would be super helpful. Are there particular topics you would like me to address in an online workshop? As downloadable content? Or in a live workshop? How about a live workshop preceded by an online forum? That is, about a month before a scheduled in-person workshop, everyone who is signed up gets together in an online forum to share work, meet and greet, and do some preliminary "assignments" or projects to prepare for the live workshop. Let me know your thoughts and suggestions. What have you been doing in your studio lately? I love the idea of a live workshop with a follow up. Very interested. I took your workshop at Omega in September and had a great time. I love the idea of an online forum before a workshop. It would be nice to meet the other participants online before we meet in person and get a sense of what's coming up in the way of workshop content. Also, I would love a workshop or video on using the gel plate. I am anxious to try this technique. I was so inspired by the Omega workshop and by you. I look forward to next fall at Omega. Thanks, Frances. I do offer an online (downloadable) workshop on using the gel plate - mono print collage. Glad you are planning on next year at Omega! Such a great place, and we had a terrific group in September. Hi Jane. I am currently on your online 100 Paintings. I mentioned in one of the courses that I would love to see a workshop on development of personal vocabulary maybe towards imagery. By coincidence I just asked a question on Carolyn's post to do with visual references and your related comment on role of the subconscious. I think it's an area many professional artists as well as students can struggle with. Just want to say that joining your courses is one of the best decisions I have ever made. They are so beneficial :) PS Online follow-up workshops for regular students would also be a great idea. "Towards Imagery"; I love that concept, and it is one I want to explore myself. I like small online workshops myself. I don't really have an art practice to speak of. I have taken lots of classes and have watched the videos but not had much luck working the lessons since I am very self-critical. I would like to take a series of small classes that start with the basics (color theory, line, value, etc.) and slowly build on on the basics by adding things (collage, gelli plate, color palettes, etc). I would love to take some of the classes you have listed on the website, but I can't figure out which would work best for a beginner. Hope this helps! 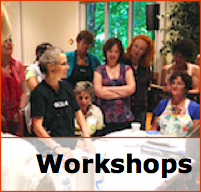 Actually, HB, I highly recommend you try some workshops offered at Carla Sonheim's site. She has a BUNCH of teachers, in addition to herself, offering loads of terrific content for beginners. I am working on developing content specifically for beginners too, but most of my workshops assume basic knowledge of materials and concepts. 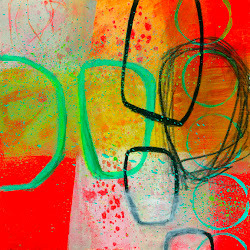 I would love an online course on using the Gelli plate. So many of the online videos are very art journal/craft oriented. I offer Monoprint Collage online. It is downloadable. See Online Workshops. I agree with some of HBs comments above. When I took your workshop on Whidbey I was in a room with many accomplished artists familiar with your methods and was totally intimidated. What's appropriate for a beginner would be helpful and maybe online courses suggested a pre-prep. Great idea. I think the Whidbey class was an intermediate level, but it's so hard to really pinpoint what that means. See my comments above. THANKS!! I'd echo this Jane. A smaller group of interested ongoing mentoring would be great. I also like the encouragement I get to keep working on art even during the hectic school year. As a full time reading specialist, it's good for me to be encouraged to keep up the painting! Great! I have done this before with small groups, so let's see if we can put something together for early 2019. Presently I'm also part of the 100 Drawing online workshop. Jane McAulay and Susan Boye's posts really express my sentiments. The overarching issue for me is finding what I'm really interested in; and where is it all going? Since I've taken classes wtih you I learned soooooooo much. Now I feel the question is: where is the path to what is hidden in my depth? So an ongoing maybe 6 months mentoring period would be great. But also a bit like Jane: what is my relationship to presentational elements? What I mean is this: I love painting trees and elephants. But I also love painting abstract pieces that start with completely different questions: what is the relationship between 3 shapes, 5 lines two of which have to be dribbles. The end result for me would be if my friends could say: ah, yes, this is an Eva Schuster. Something recognizable, that at the same time is emotionally meaningful to me and the viewer. Sorry I'm being a bit complicated. I guess I'm looking for a partner, who helps me find my painterly identity. As for the format: I love the online blog workshops. They challenge me to became conscious of the act of painting. But if we were a group of 5-15 commited students for a 6 - 12 months period, getting together once or twice during that time would be very beneficial I would think. YES!!! The path, btw, is to just keep painting, consciously, with attention. With the support of a group this could be really enhanced and productive. I like the six-month format idea. I would like to see a follow up after a live workshop myself. There is all these great techniques and ideas percolating. How you go forward would also be very advantageous in my perspective. Keeping the momentum going . I do see a lead in being positive before the start of a live course. It would be a chance for everyone to get to know one another etc. The participate would have an opportunity to see what will be presented in the workshop and prepare themselves. Also I did sign up for some online courses more for reinforcement of concepts and ideas then anything. You had mentioned that you had offered a critique class on-line in the past. I would like to participate if offered. The format you mentioned was on-line with group discussion followed with one on one with yourself. Studio work can be quite isolating and I find taking a workshop with other artists is an essential part of my growth as an artist whether it be live or on-line.It would expand a participant's artistic community over a greater geographic area and could lead into continued relationships. I have taken a few online courses...I would love a in depth immersion into color choices and combinations. Maybe a series of classes where the same group of students progress together over the course of a year or 6 months.. I agree with a few of the others. Some sort of mentorship in a group that is a bit more advanced in their work that may stretch over a larger period of time. I would love you to come to New Zealand!!! Other than that an online course extending the possibilities of gelli plate printing and using with other techniques/drawing/painting would be great. Take Monoprint Collage, downloadable. It goes beyond the pretty papers. I'd love to come to New Zealand! I have your DVD, and really enjoyed working through some of your collage paper making techniques, you did a presentation on composition, and I found all to be very helpful in my journey for making my own art. I will take some of your online composition classes as I think it's the hardest element to grasp. Presently I am interested in doing some encaustic experiments......all the techniques I learned previously will definitely influence working with a different medium.....however the information I am finding on encaustic painting is a bit limited, granted I haven't purchased all the books that have been written about it, and some of the online workshops are very expensive......there is so much to learn, I hope you might decide to do some online workshops or DVD 's on the subject. I think one of the most important things I learned from you is to have the freedom to experiment and play, and just practice making my own art! WOW! This is a lot of input. THANKS. I will respond in more specificity over the next few days, but these are just great comments and suggestions and questions! 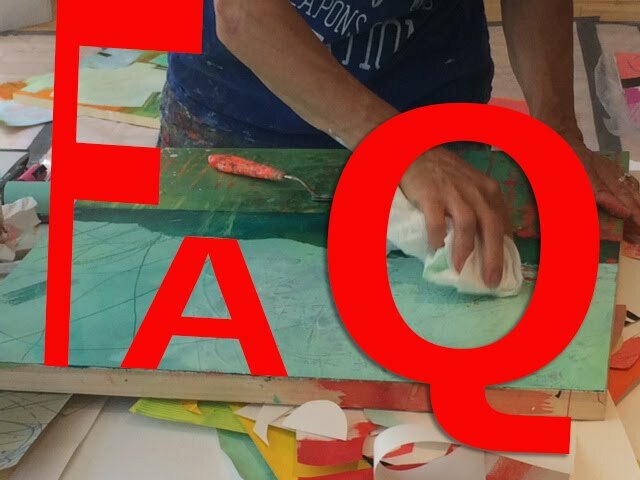 Hi Jane- I took a downloadable workshop on extreme composition and the gelli plate is the foundation of my practice-- I either use it initially to create a ground or just after making some marks. So of course I have piles of prints. Some are good for collage paper but not always. I would love a small online or downloadable workshop about what to do with all those prints. Really this translates into-- how to push past that pause I take when I toss something in a pile. Accessibility due to cost is a barrier for me. I would love a live online workshop that is shorter with a very tight focus or question that could be a bit let expensive. I live in Philly so it would be great to find a workshop in a mid Atlantic city like NYC, Philadelphia, Baltimore or DC! I would sell off some art supplies to get there!! 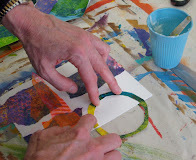 My Monoprint Collage workshop has lots of stuff on what to do with all those pretty papers. I hear you on the shorter, cheaper, workshop. Thanks for that! I may be doing a workshop in Philly next year at PAFA, possibly in the fall. Hello Jane. Just a suggestion again on allowing an alternative way to pay for the workshops to paypal. Especially taking into account people from other countries. I am not able to take any workshops that are paypal-only way of payment. It's the reason why I have not taken any more part in yours, sadly. Otherwise, they are very insightful and I have learned a lot from them. You can pay by check! Just e-mail me, reserve as spot, and send me a check in US currency. Lots of people do that. That said, I can look into Merchant Services from my bank, so that you can pay w/ credit card without going through PP. Not from any country, Jane. Checking accounts and checks are not a common thing in many countries in the first palce. The usual thing is an international transfer, but due to money laundering etc. there are countries from which you can't make money transfers to other countries. Such as Colombia. We can receive, but not send through money transfer and I guess the same goes for checks. But it will be a good idea to see if there is another way to pay with credit card as you mention, avoiding pp. There are some on-line classes in which it is possible. With Carla Sonheim we managed to make it through etsy before, now she does have a two way method, via pp or without. Thanks. Hi Jane, I've taken most of your online workshops and also some live classes - all essential for understanding the elements of good painting design. I never "got it" until I took your classes. I've continued working regularly in my studio but I live in a small rural place where other serious artists are thin to non-existent on the ground so I am very isolated. I'm also searching for a way of adding recognizable personal imagery that will make a piece feel more intrinsically "Barb's work". I am very interested in a 6 month- 1 year mentoring online forum with video and critiques by you of the work we produce and show within our own assignments that we develop with you. Cost isn't an object because I'm now not finding any specific classes that can do what a mentoring workshop would do, and you Jane are the right person to provide that mentoring for us all and this is the natural next step for us. We could travel and meet as a group once or twice during our session but that's not necessary for me as the online forum-video-critique template works exceptionally well for me - and I do feel like I meet people from different geographical areas through that. Susan Boyle and Eva's comments above really resonate for me. I, we, all, like the master artists of the past discussed their work with a set of other advanced artists - indeed their work developed sharply because of that interaction, and I want that - I won't reach my own goals without that. So I need/would find it helpful, to be a part of a small group of growing experienced artists using our similar, shared learned content and vocabulary to go deep and get close to developing our own unique body of work. Seeing how the others develop is very important and instructive too and would help each of us to keep our momemtum and our own unique focus going. Jane, if you decide to do this which I hope you will, you could get back to us about specific ideas about forum and video content for feedback if that might help you. This could be so great and no one else out there could do it as well as you Jane!!!!!!!!!!! Keep us posted! YES! You can certainly e-mail me with any specific ideas you have about the forum or video content. I'm not sure how video would fit in other than specific demonstrations. But let me know what you have in mind. this is interesting to me too. keep me posted please. 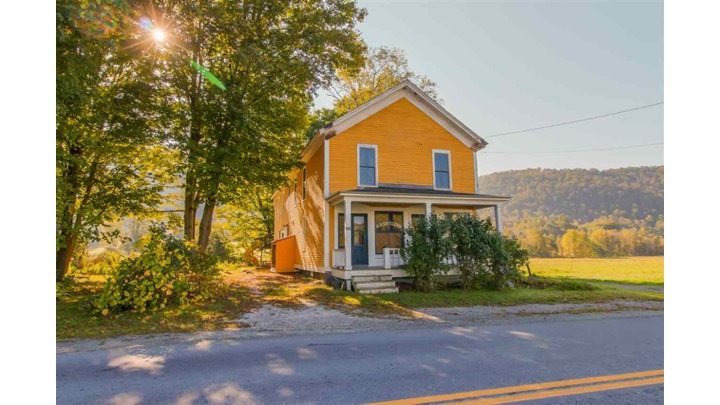 I have taken a class with you in Stowe, and an online class and you have given me the most confidence and freedom to be an artist in my own right. I, like Eve, would like to find my “painterly identity”, and maybe the only way to do that is to paint daily, which for the most part I am doing. I seem to have more than one “style” and manage to confuse myself to no end as to what to paint on any given day. Painting is a challenge - which is a good thing. So I am confused as to what kind of workshop or class would help me figure this out - if ever! - but thank you for being there and thank you for your loads of videos which I have watched innumerable times. I am offering a class next year in Wisconsin called "The Body of Work: Freedom and Focus". It is meant to address exactly your point: how one individual "voice" can embrace many styles. I'd like the black and white workshop as a download. I vote for Big Fat Art Weekend as an interactive online class spread out over 3 weeks or longer instead of three days. I’m currently in the 100 Paintings class and learning almost as much from my fellow students as from the instruction. 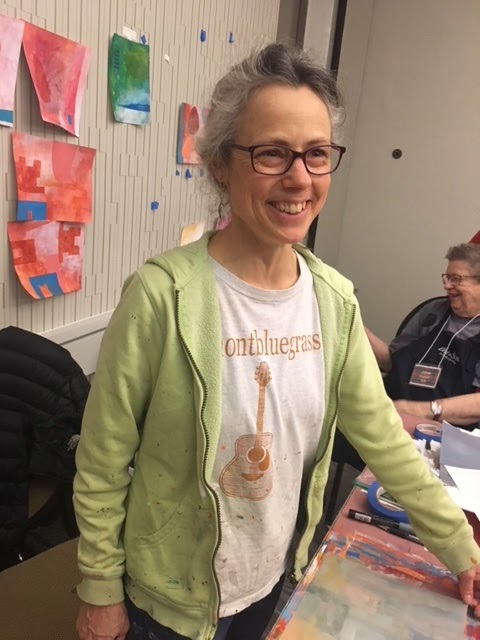 My biggest challenge is focus - a vague suggestion for a workshop is perhaps an online class with weekly prompts that build toward completed mixed media work(s) over a longer period. Thanks, Cheryl. I don't do classes that build towards completed pieces. But I can do something with weekly suggestions. I'm thinking of a sketchbook class that actually uses a sketchbook and portable materials. A class in which we draw/paint away from our studios, in cafés or outdoors, for example. Jane, I'm currently working on your ongoing online 6-part composition class and it's really helped me. Going forward from there, there are several more of the already listed online classes I'm interested in taking. However, in addition, I have a couple of suggestions. 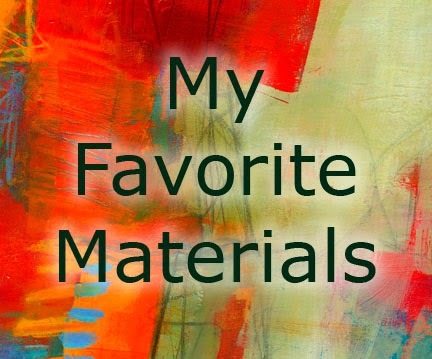 One would be (as mentioned in a comment above) a course on gelli plate technique that's more art and less craft oriented. Also, maybe a course and/or discussion group on developing particular theme over a series of drawing and paintings. I love your work and your teaching too. I'm glad you're out there, and very happy with what you're offering already. Thanks, Ruth. 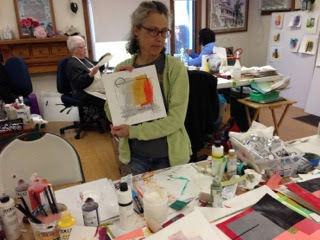 I do have a Monoprint Collage downloadable class. I will work on a format for an online "mentoring" workshop, like a crit group. I would love another similar to the 100 Drawings, or a mentorship longer term. I have learned so much from your on line classes and the way you interact. I feel it was a huge turning point for me just learning vocabulary and I would love more from you! 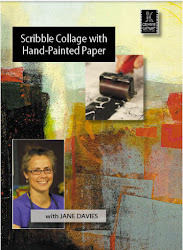 Best on-line instructor and it’s still on my bucket list to do a real time Jane Davies! Thanks, Kathy! You've been a great online participant. I would love to do "100 MORE Drawings, Painting, and Explorations" in the same format, but with ten new lessons. i was just thinking that i wanted you to do a class about finishing when i read your comment to cheryl. if we came with pieces that we wanted to finish, could this be possible? as cheryl asked, i too would like a class on working large scale. thank you for the great classes that I have taken so far. i am getting so much out of them. Sorry for the delay in responding to this. The issue of finishing pieces is tricky. If you PLAN to finish a piece, it can affect your process negatively: you will make safer choices, not go out on a limb as far as you might if your goal is more to SEE what CAN happen, or keep the piece in process. It is kind of like a paradox, but it is solvable. That said, if you brought unfinished works to the table (the forum, the studio, whatever), I can certainly tell you what I see and make suggestions for moving them forward. I would love to experiment with this in a workshop situation. Money Making Ideas: Searching best website to make money quick? At Blissfullincome.com, you can learn how we can make online money by different ways. I would love to buy a longer mentorship with you. I have watched everything that you have put on youtube. I haven't bought any specific classes of yours yet, but I am a color field abstract acrylic artist looking to take my work to the next level. I am interested in some of your online classes like the working in black and white, advanced color, and 100 days workshops that you haven't scheduled yet depending on when they are scheduled. All good for live and online classes. A "live" online class inspires me to more discipline than I muster for a "go at your own pace" class. Looking at the other students' work really helps me visually understand what to do and their personal comments delight me. 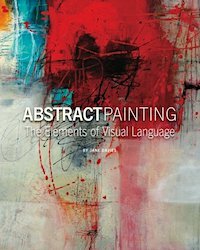 I do wish you might expound a bit on the bigger art picture part of techniques. For example, you demo HOW to vary quadrants, I don't know WHY. To avoid dead space? Move the eye? As a non-art major, I might be missing the point. When might I use monochrome? I'd also like to know if observations are required for a course. We aren't on the same language wavelength but how are the exercises? Do I need to adjust anything? Options? Perhaps if you commented on each of your examples, there would be more chances to hit the right "channel" for those less familiar with vocabulary and concepts? I want to address your questions, but I'm not sure I'm understanding them correctly. Expand on the bigger art picture: how to vary quadrants? That is just one lesson in the 100 drawings course. I think the lesson explains. One pages 2 and 3 there is the HOW. Why should you vary the quadrants? Because we tend towards symmetry and repetition. This lesson makes you aware of that tendency. Awareness is key. Finishing a painting: let the paintings finish themselves while you aren't looking. TRYING to finish a painting can get you stuck. I have some techniques for NOT trying to finish paintings, and for fostering the conditions to allow paintings to finish themselves. I do address this in live workshops; I will see if there is a way to convey the ideas in an online format. Thanks for the suggestions! I'm still waiting for a new online workshop. I love them. Love working at my own pace, but posting paintings is helpful, getting your comments and others! Feel sometimes like i fall back to the same ways of using lines, or shapes, so I need challenging to try one shapes.. Sometimes the scraps sitting around are my best challenges . I pick them up and decide to use them. What other ways would you suggest to challenge myself. I seem to fall into doing a lot of collage over painting. So a workshop a bout this idea, if it makes sense. Sorry, again, for the delay in responding. I love playing with scraps! The trick is to PLAY with them, don't try to make Art with them. I do plan to do a post about this in the next couple of weeks - I have a few go-to techniques of getting into the playing mode, taking the pressure off, and this is one of them.